What begins as a story of man’s relationship to the land quickly evolves into something much more... as mist, jaguars, carbon, hallucinogenic mushrooms, and dreams announce themselves as crucial actors in an environmental and epistemic conflict. 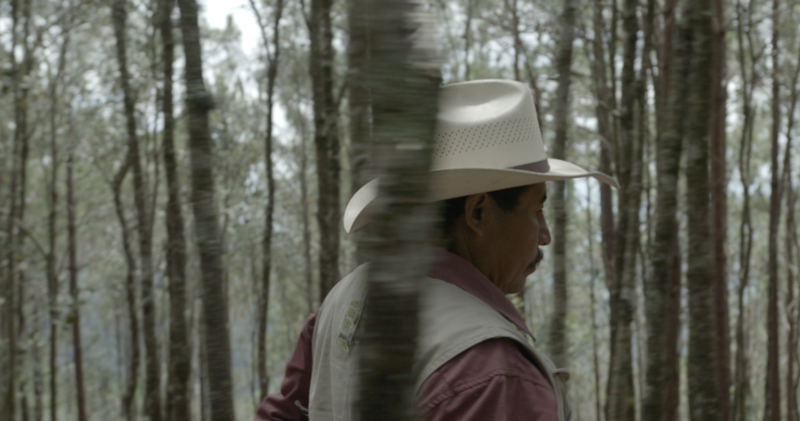 In “Xa-lyu K’ya” (World of Mountains), the Oaxacan Chatino people, international corporations, and environmental NGOs become entangled in the debate over the fate of Mexico’s rapidly disappearing cloud forest. Xa-Lyu K’ya explores political, social, and environmental issues affecting a community of indigenous people living in the cloud forest of Oaxaca Mexico.The Chatino community is part of an ongoing debate between the Mexican state, environmental NGOS, and corporations over market based conservation initiatives. The region of Lachao has dense forests and high biodiversity that have attracted numerous outside interest groups, causing an influx of biologists, ecologists, and NGO workers. Science and indigenous mysticism collide and merge in startling ways as community members negotiate the imposition of state-sponsored conservation ideals. The very meaning of forest is in flux, as indigenous perspectives on non-human agency come into contact with the free market’s commodification of nature.